Olive Tree Genealogy Blog: A Sneak Peek at Tonight's Episode of WDYTYA! Are you as excited as I am for tonight's launch of Who Do You Think You Are? 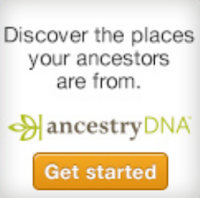 The new season premiere launches at 9/8c on TLC and with Ancestry.com as a sponsor. In her episode, Cynthia Nixon searches for answers about her paternal ancestors, and discovers a dark secret involving deceit and murder, in relation to her great-great-great-grandmother. In tonight's episode she visits a prison to learn more about her ancestor, Martha, who was the only woman incarcerated there among dozens of men. Labels: Ancestry.com, Cynthia Nixon, TLC, TV Series, WDYTYA, Who Do You Think You Are?